Colored gemstone jewelry has been popular for centuries and many of the familiar gem varieties -- such as ruby, sapphire, garnet, peridot and jade -- have been known since antiquity. Prior to the advent of the science of gemology, some varieties were not recognized as distinct species. Spinel was often confused with ruby and sapphire, and was first identified by its gemological properties in the late 19th century. Jade was recognized as having two quite distinct species -- jadeite and nephrite -- only in 1863. Today there are more than 100 different colored gemstone varieties offered in the market. But if you visit your local jeweler you will typically find they stock jewelry with only a short list of gem types, such as ruby, sapphire, emerald, blue topaz, pyrope garnet, tanzanite, opal and aquamarine. The reason that retail jewelers stock only a small number of colored stones is that many varieties are in short supply and there is simply not enough material to supply the retail channel. 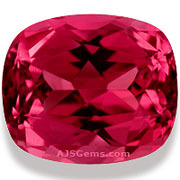 Natural spinel, for example, is one of the favorites of gem dealers for its superb brilliance and fire. But spinel is rarely found in retail jewelry stores due to the shortage of supply. You are also unlikely to find natural zircon, tsavorite and spessartite garnet, alexandrite or chrome or rubellite tourmaline in retail outlets. But the lack of variety in jewelry stores is not the only reason to buy loose gemstones from a specialized gem dealer. In fact the quality of the colored stones in commercial jewelry is usually low, even in high priced items from very reputable retailers. The reason is that the retailer's focus is on the jewelry, not on the gemstone. While he may have ruby rings, for example, the rubies are very likely to be fracture-filled African rubies, not fine Burmese rubies. The reality of the gemstone market is that the jewelry manufacturer could not produce a line of ruby rings with fine rubies, unless very small stones, simply because it is so difficult to source enough quality rubies to produce hundreds (let alone thousands) of rings. If you want to buy top grade natural gemstones, especially untreated stones, you will do much better by consulting a specialized gems dealer. You will also have a much greater selection of colors, cuts and sizes, since the gem dealer's stock is much larger than the jeweler's. Higher end gem dealers will also routinely offer certification from recognized gemological laboratories for the stones they sell; this is not yet customary in the retail jewelry business, except for diamonds. 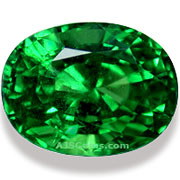 Experienced gemstone buyers also know that it is much safer to buy a loose stone than one already set in jewelry. Jewelry settings can hide inclusions in a gem and even change the color of the stone. Valuable gems should always be evaluated unmounted, and gemological labs prefer to do their testing on unmounted stones. Finally, when you buy a high quality loose gemstone for a custom piece of jewelry, both the gem and the jewelry setting will be an expresson of your personal taste. Creating a unique one-a-kind piece of jewelry that can be worn with pride and handed down to your children is an experience not to be missed.